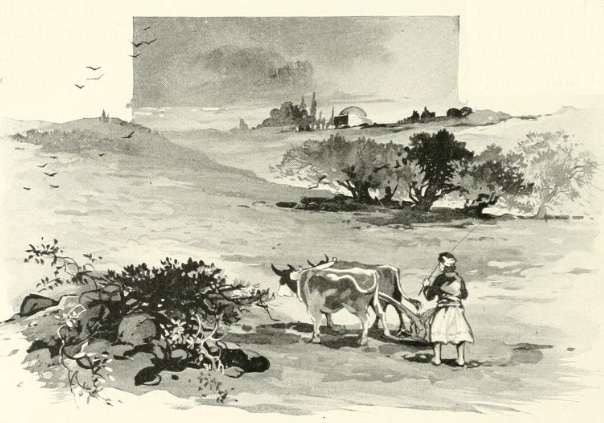 Travelers of the 19th and 20th centuries often depicted maqams, sometimes without even knowing their names and the name of a person buried there. 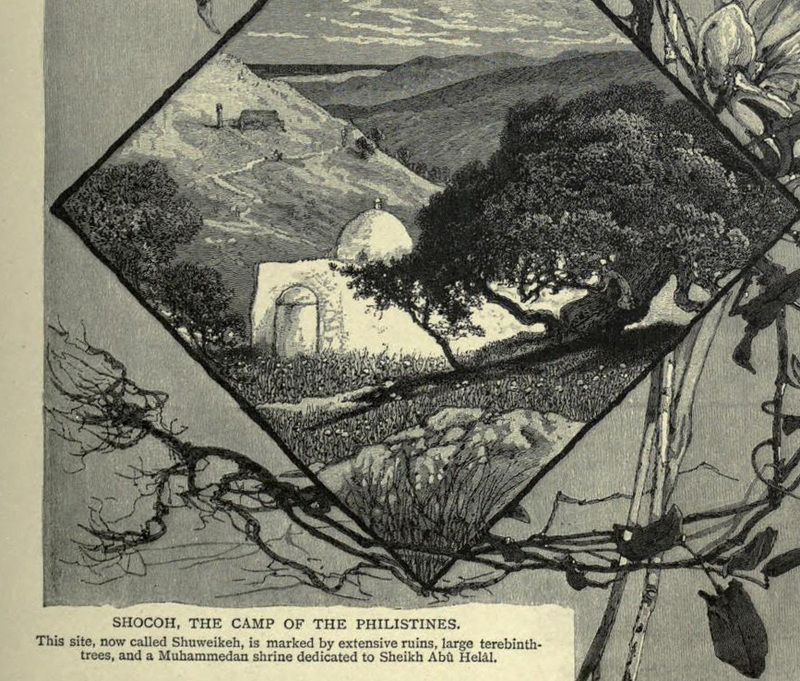 Many of these shrines have been lost forever. 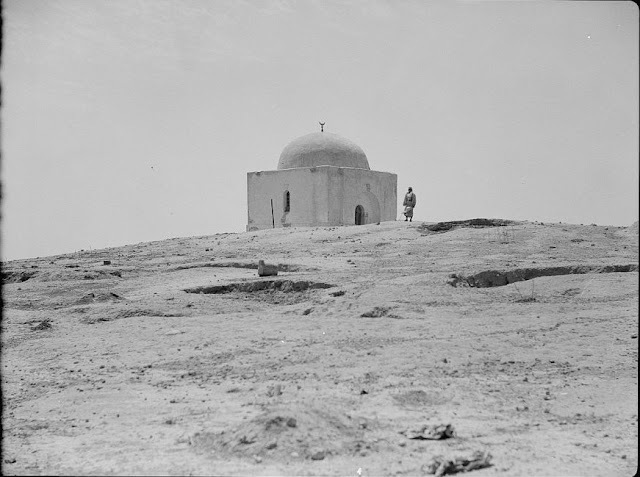 Maqam sheikh Samat, also known as the tomb of the prophet Samson, doesn’t exist already for more than half a century. He used to stand in the former Arab-Palestinian village Sar'a, on the top of the mountain now called Tel Tzor'a. 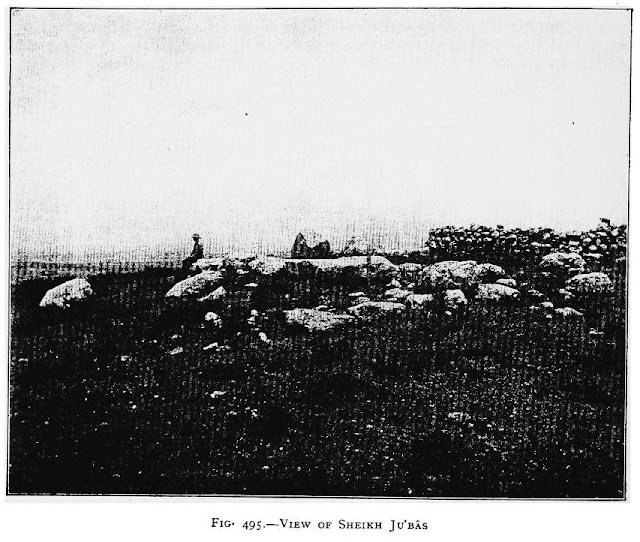 Maqam nabi Samat was noted by C. Conder, J. Geikie and other researchers 19th century. 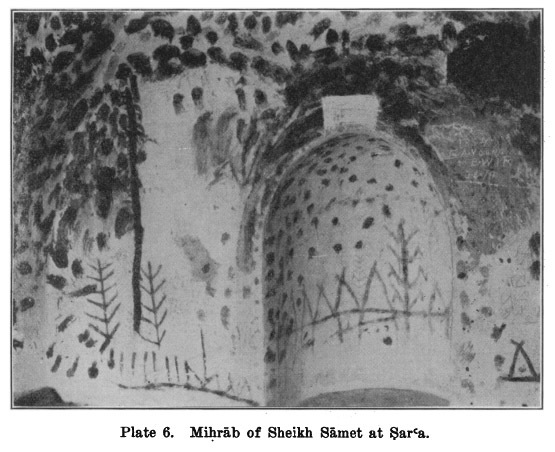 We can see how this shrine used to look like in the drawings of the 19th century and 1920s. 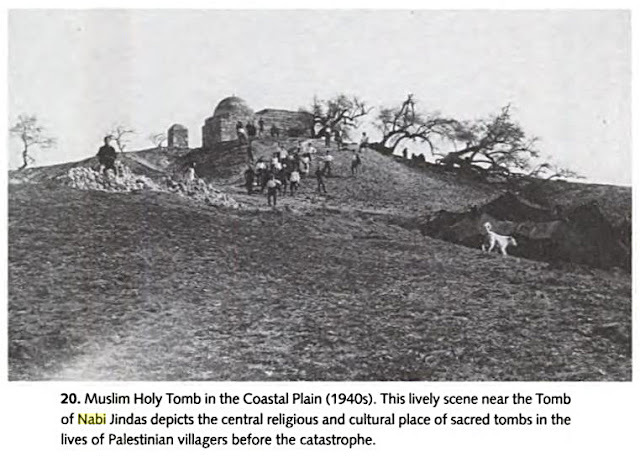 The Jews accepted Muslim tradition. Now Tel Tzora is a home for Jewish shrines — the tomb of the biblical hero prophet Samson and his father Manoah, but these are nothing but two modern tombstones painted blue. Former luxurious maqam is long gone. Even its foundation cannot be seen anywhere. 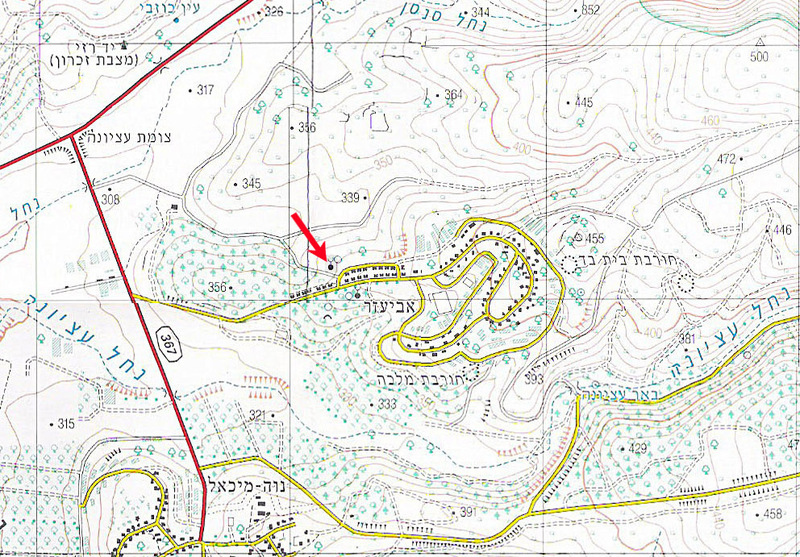 Note also that in The Survey of Western Palestine III 150 there is an unfortunate blunder. 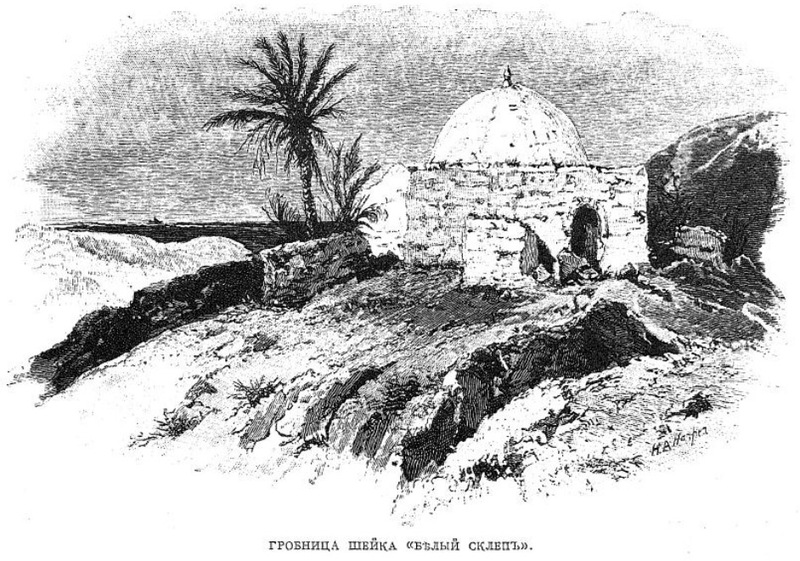 The description of the well-known tomb of the prophet Samuel, to the north of Jerusalem, is illustrated with the photos of the tomb of Samson (nabi Samat) located in the village Sar'a. 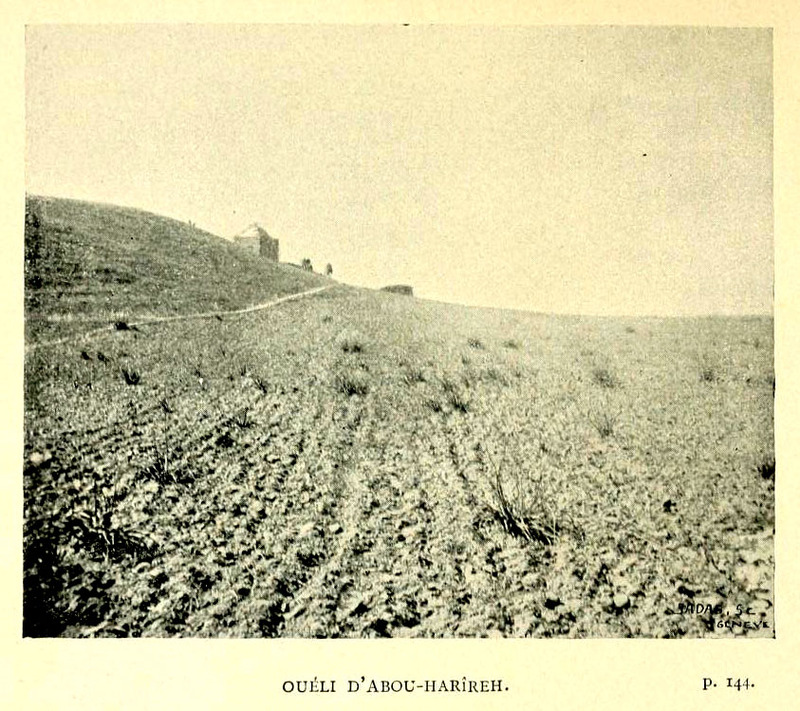 Nothing remained of the Maqam sheikh Abu Hilal on Hurvat Sokoh (Sokho) (31°40'31.1"N 34°58'39.7"E). 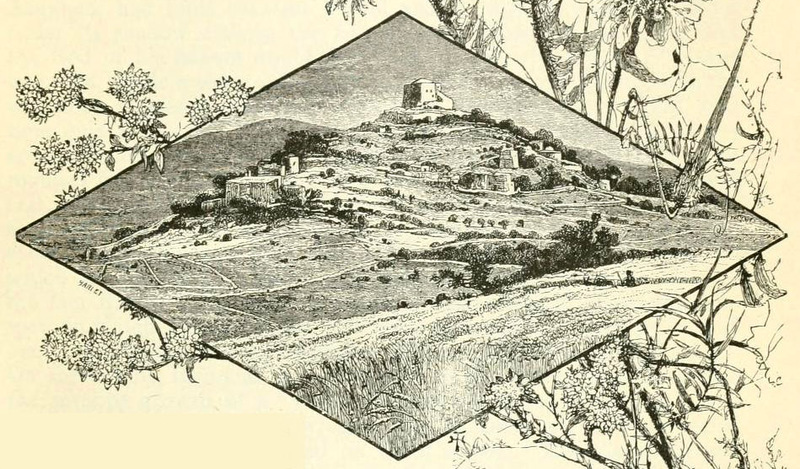 Only the drawing of the end of 19th century in “Picturesque Palestine” gives us an idea of what it used to look like (Wilson III 159). 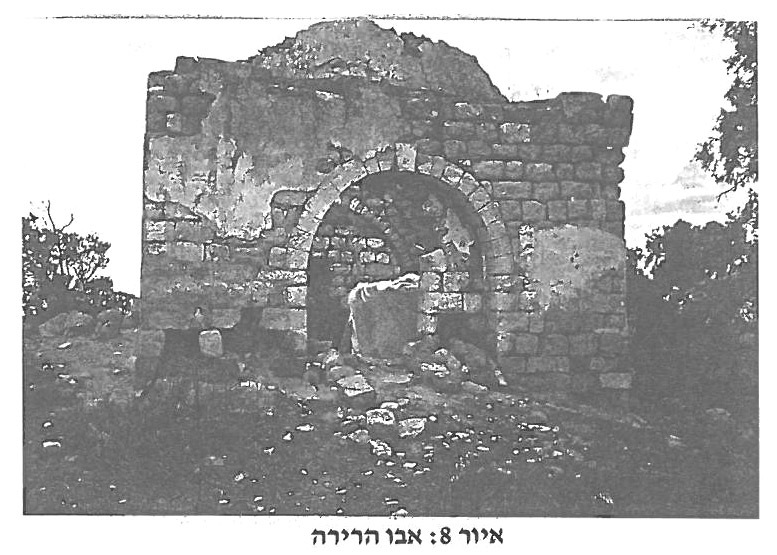 The Maqam sheikh Gazi is also completely destroyed, though A. Petersen examined it back in 1994 (2001, 282–283). 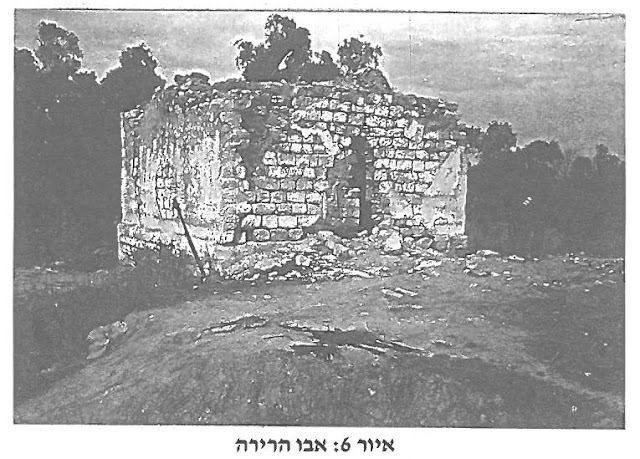 Muslim shrine stood in the way of the growing Jewish moshav Aviezer. 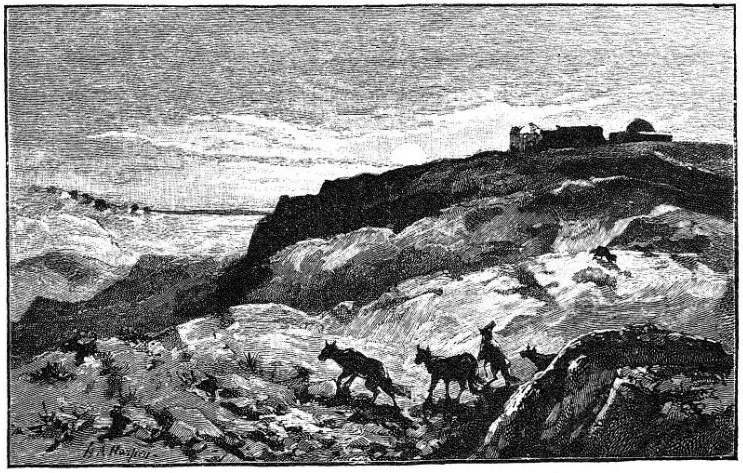 Even Petersen saw the destructive work of bulldozers. Now the residents of Aviezer do not even remember if there was a Muslim tomb on their territory (31°40'57.1"N 35°00'42.4"E). 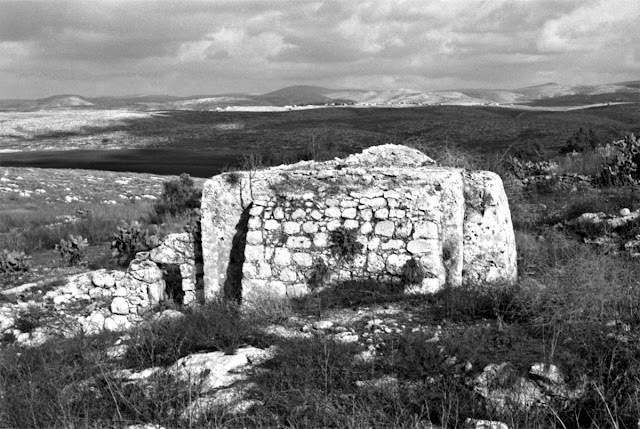 In 1984 Jewish settlement Karmei Yosef was founded on the hill and Muslim shrine was completely built up with modern houses. 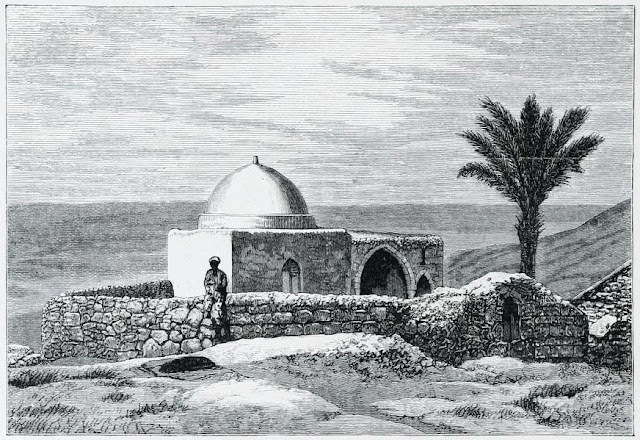 About the Maqam sheikh Ahmad al-‘Urayni, who was in the former Palestinian village of ‘Iraq al-Manshiya (31°36'46.2"N 34°47'10.0"E), A. Petersen says: “The shrine of Shaykh Ahmad was located on the summit of the tell. It is described by Conder and Kitchener although they do not provide the name of the occupant (SWP III 259, 266). It consisted of a roofless walled enclosure made of reused stone blocks. 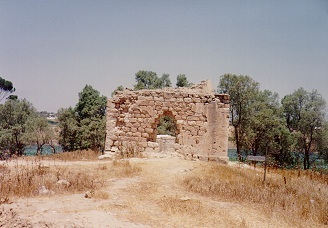 The doorway was located in the middle of the north wall. 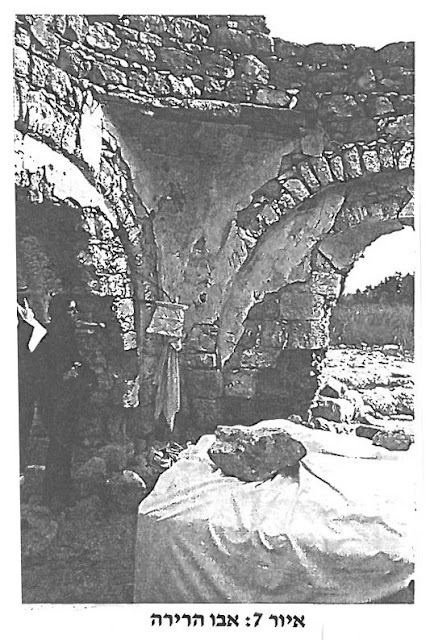 Above the doorway there was a marble lintel and either side there were two inscriptions. 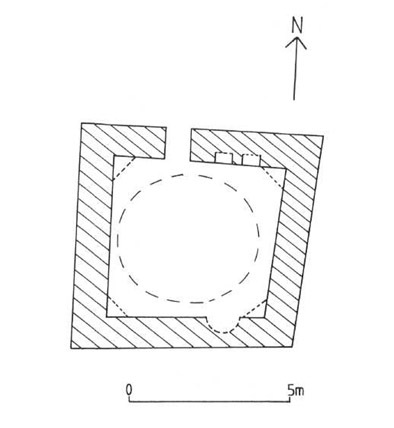 A deep concave mihrab was located in the back (south) wall of the enclosure. The shrine stood until at least 1946 when it was inspected by the Antiquities Department. During the 1950s it was reported to be in a very ruinous condition and now there are no standing remains. An outline on the ground is the only visible remains of the building” (2001, 155). In fact, in 'Iraq al-Manshiyya were three Muslim shrines: the Maqam sheikh Ahmad al-‘Urayni, the Maqam sheikh Abu Sell and the Maqam sheikh Abu Raddan (Palmer 1881, 378, 379). 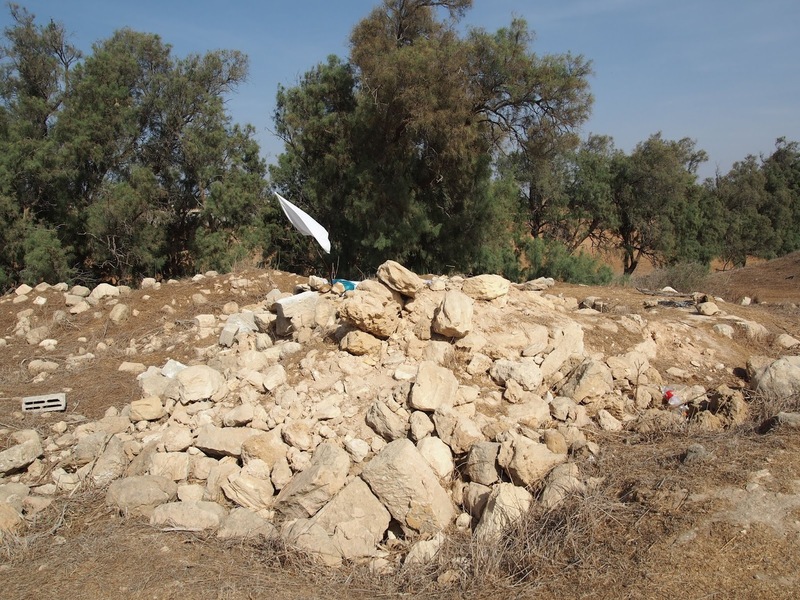 The Tomb of sitt Zahra, one of five sisters of sheikh (or neby) of Palestinian village Bir Ma‘in disappeared although it stood until recently (31°53'17.6"N 35°01'14.6"E). 1968 photograph from Israel Antiquities Authority archive shows how it looked like. This tomb was situated to the north of the former village Bir Ma'in, in the area which is now completely built with state-of-the-art houses of Modi‘in town. For information about tombs of sitt Zahra sisters see Section 3 Maqams. 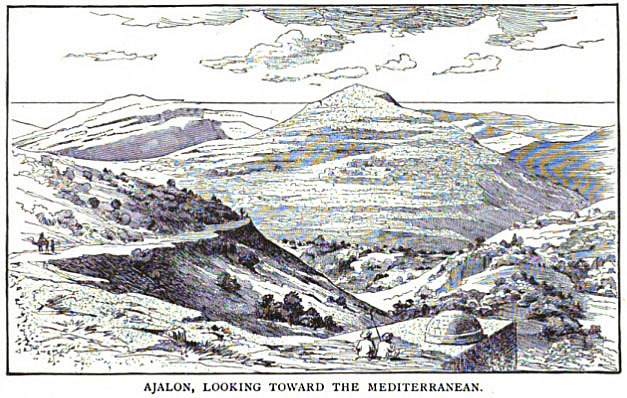 Judaean Mountains: Maqam sitt Mana, Maqam sitt Huria. 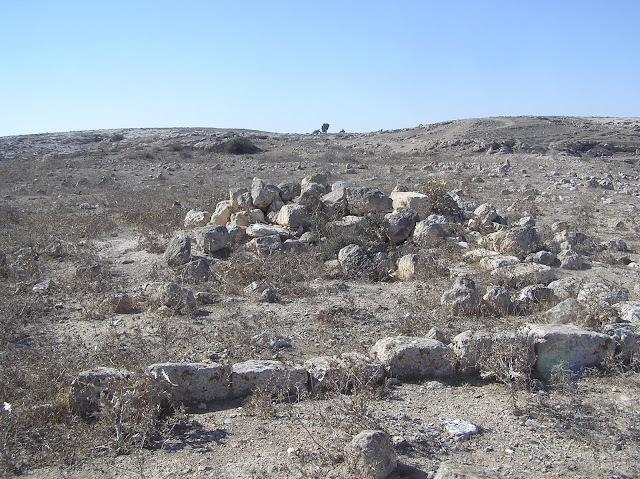 Not a trace remains of the Tomb of the nabi Burk (Barq) – one of the shrines of the former Palestinian village Burka, or Barqa, which was situated not far from Ashdod. 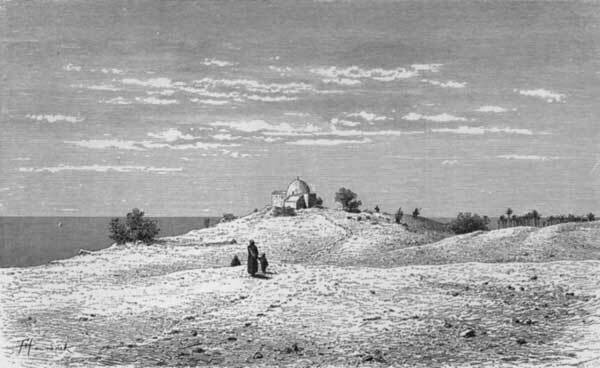 In his time, L. Gautier described the tomb so “picturesque wely, surrounded with the trees” (1898, 95). 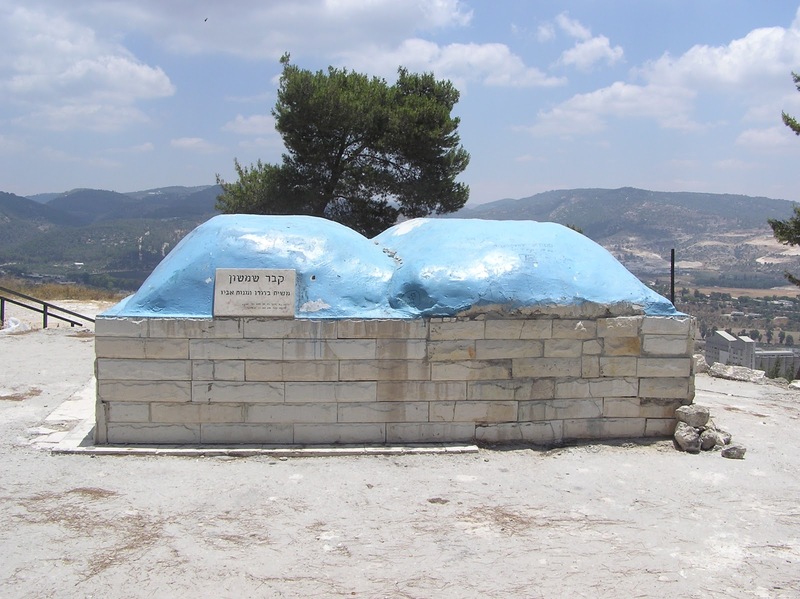 The Israeli town Gan Yavne was founded in 1931 to the north of the Burka village. 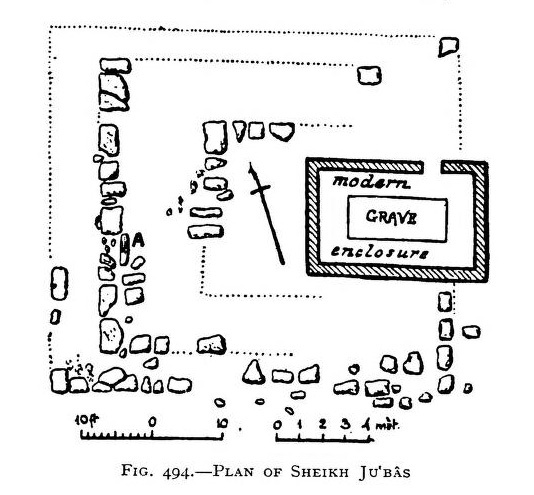 W. Khalidi in the 1980s already saw no "picturesque wely" among the ruins of Burka (31°46'37.4"N 34°41'56.6"E). In the list of the shrines that no longer exist we should also include such tombs as the Tomb of sheikh Ibrahim in Tzova (see Section 13. 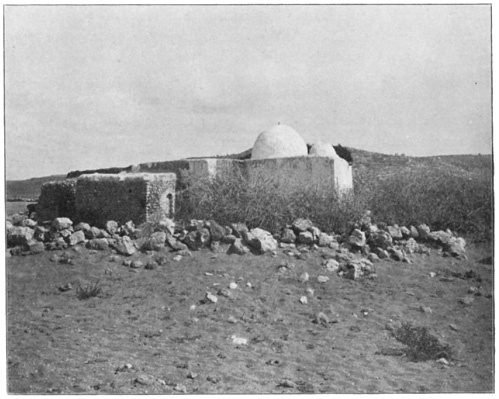 Not maqams: Palestinian house (Tzova)) and the Maqam sheikh Mu'annis in Sufla (Sufle) (31°44'06.2"N 35°02'25.8"E). 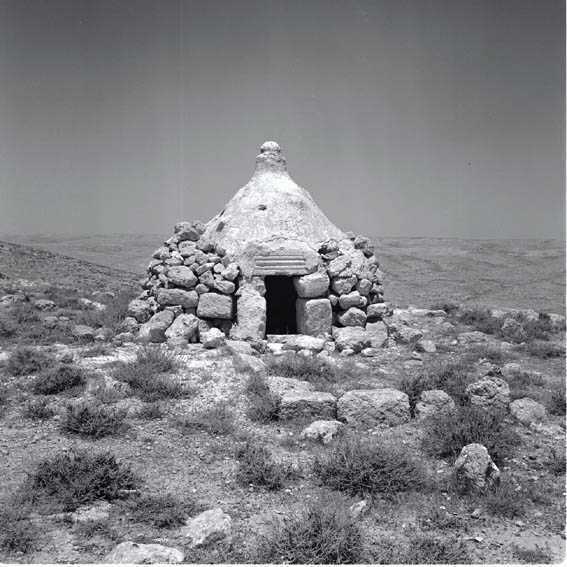 Among the Bedouin shrines, which disappeared recently, the Maqam sheikh Yatir on Horvat Yatir (Arab: Khirbet Attir) should be mentioned. 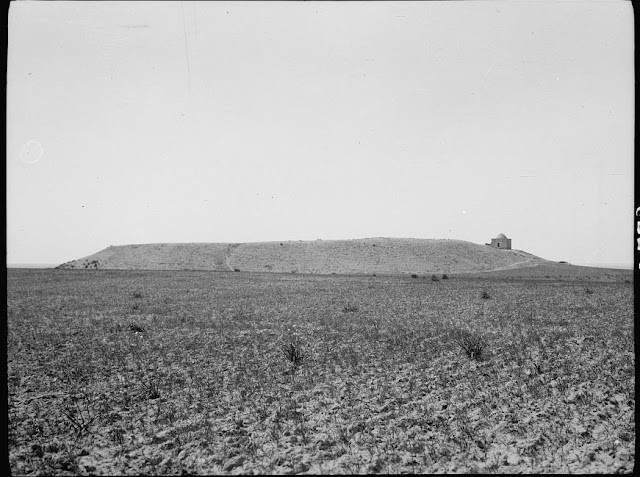 According to the photos made at that period, it was quite an unusual building with a high conic dome. 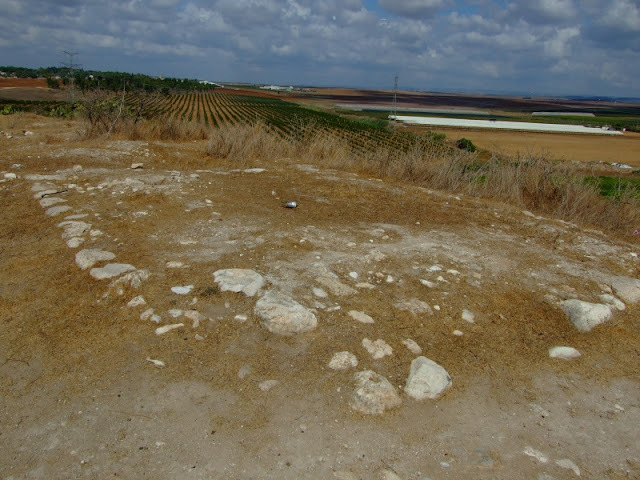 Now there is a heap of stones on the same place (31°21'11.7"N 35°01'03.2"E). Though the destruction of a wonderful Maqam sheikh Abu Khuraira on Tel Hror (Arab: Tell Abu Khuraira) in the popular rest area is the most lamentable. 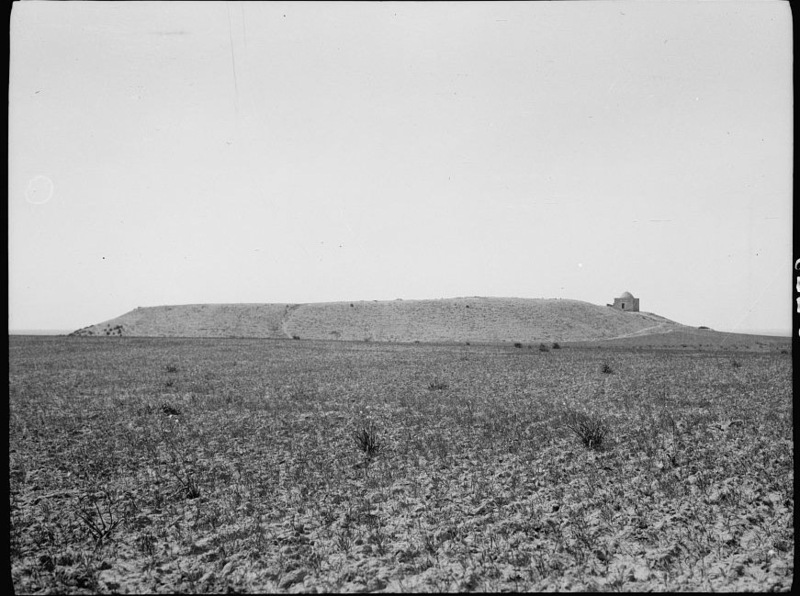 Recently tourists have been taking photos of the only building on the hill (31°22'55.2"N 34°36'23.0"E). Now there is no trace of it: it has been destroyed to the basement. 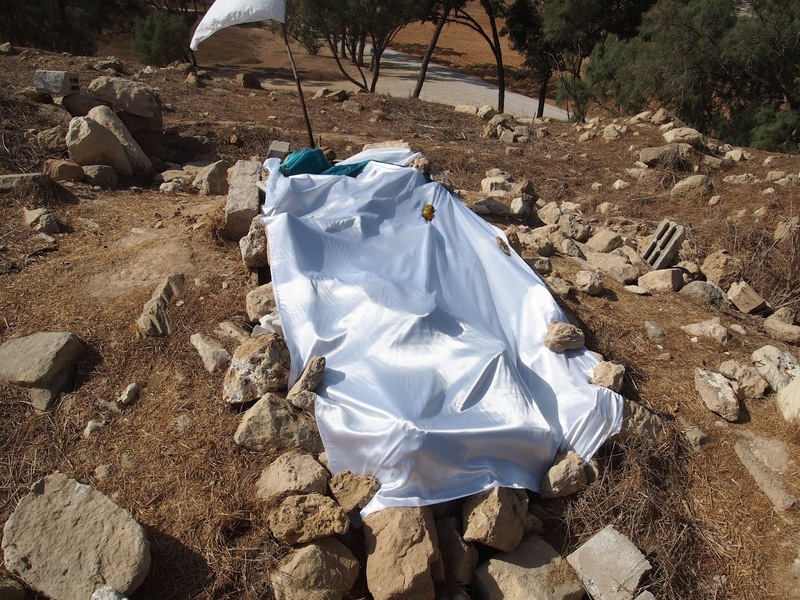 According to another data, a Bedouin sheikh called Saleh al-Akby was buried in Tell Abu Khuraira. 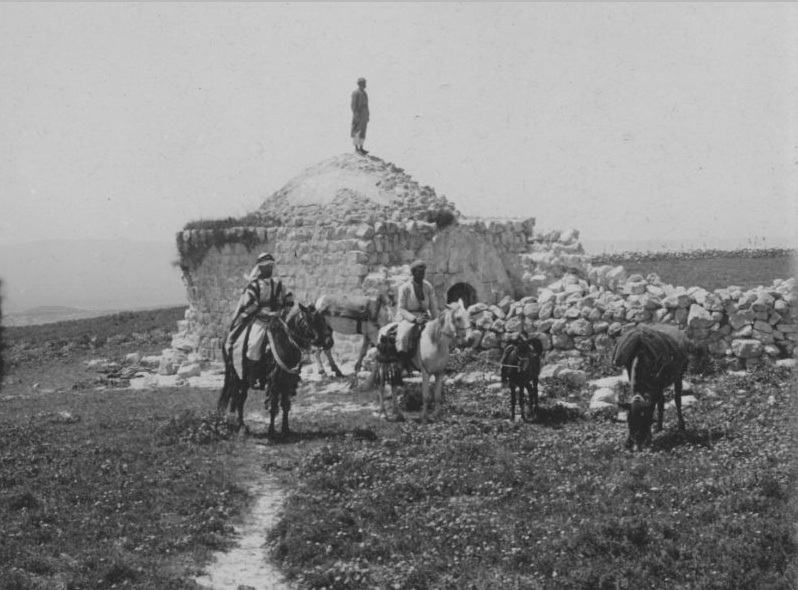 During the Ottoman period a maqam, a square domed structure with a metal spire and a crescent on the top, was built over the tomb. 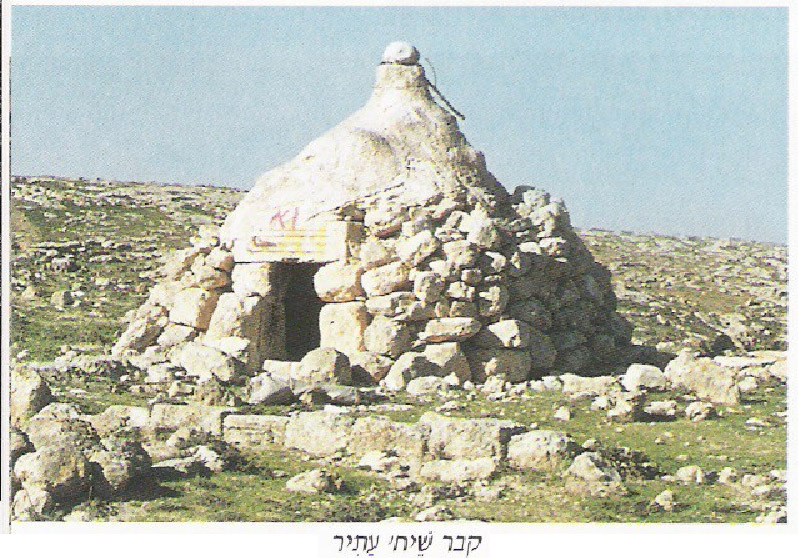 The Bedouins of Bani ‘Amer tribe worshipped this building as their shrine. 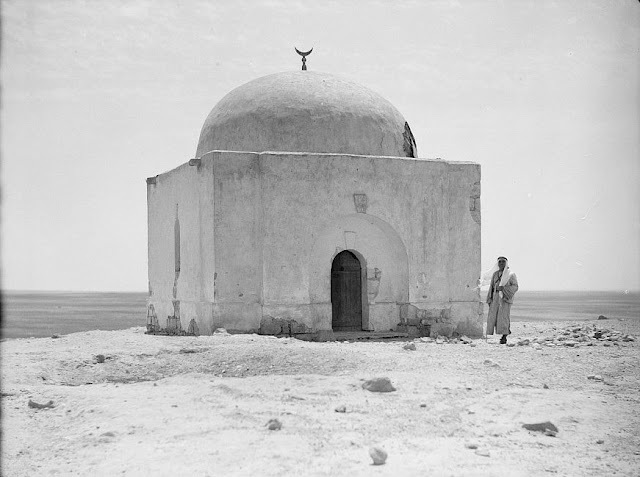 On the photos of 1930s the maqam of sheikh Saleh seemed to be a complete copy of the maqam of sheikh Nuran (see Section 9. Maqams. 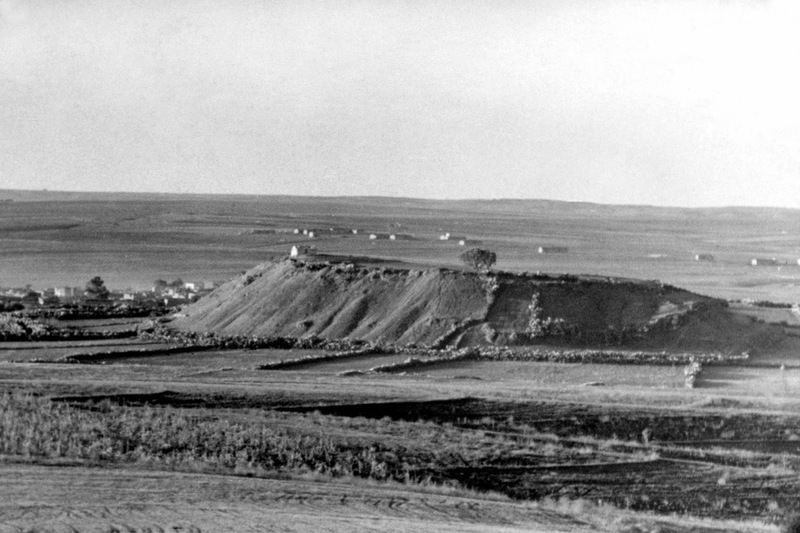 Judean Desert and Negev, which was another shrine rebuilt and gifted by the British to the Bedouins. 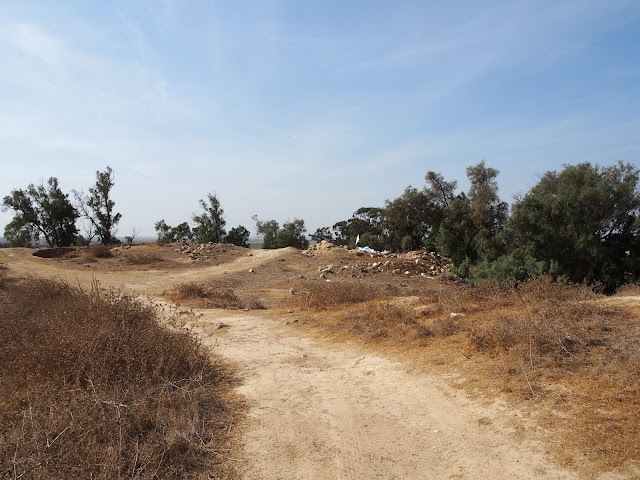 Another shots made by visitors of Nahal Grar Park, show the stages of the shrine`s destruction. 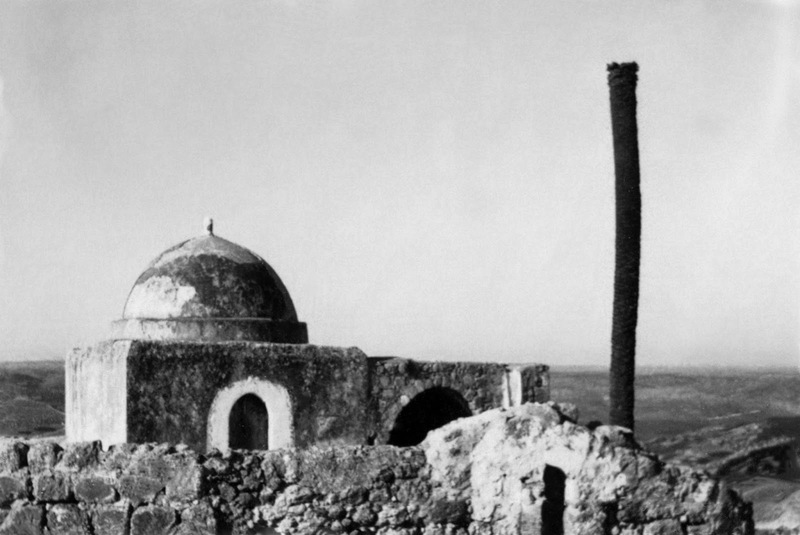 In the 1980s, the maqam of Saleh al-Akby was almost undestroyed. In the 1990s, the dome collapsed and walls started to ruin. In the early 2000s, the walls of the shrine collapsed and now we see a formless heap of stones. 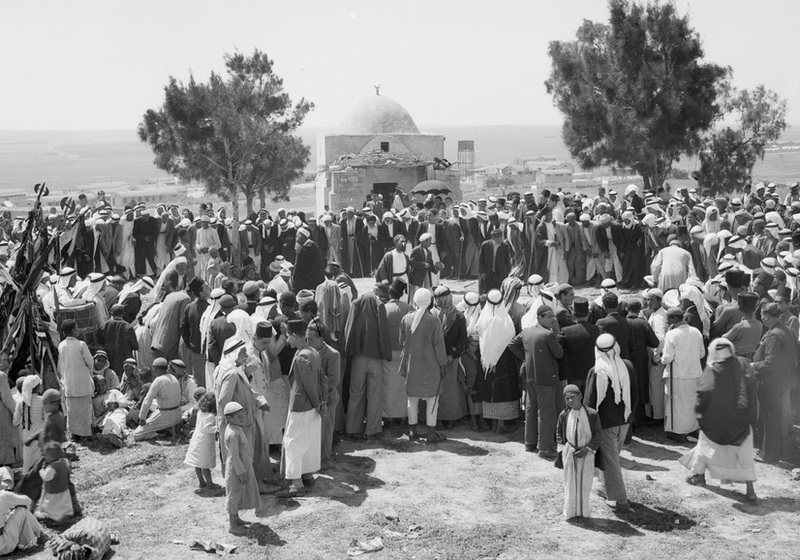 The terrified Bedouins gathered a few wreckage in the form of the cenotaph and covered them with a white cloth. The question is: Where have they been before? The maqam has been drastically destroying during 30 years, but they recovered their wits only now?